Welch Mfg Co Clock ?? This clock was given to me by my brother who was givin to him by my mother who called this a Ansonia clock as it was called by my grandfather. It is a little in need of repair. 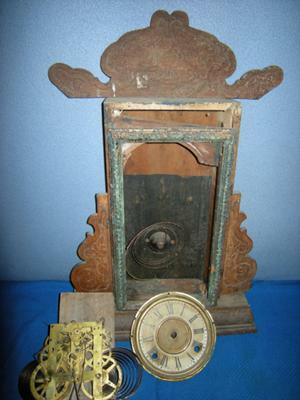 The works clearly shows Welch Mfg C.0 Forrestville, Conn U.S.A The detailing on the clock case appear to be original , and it does not have the pendulum or detailed glass it had when I saw it working as a child at granddads. Any thoughts on the time era and worth the effort of reviving ?